form to submit or update your data. Ballroom Dance & Disk Jockey. American Style Smooth and Rhythm. Ballroom Dance Instructors . . Available for private lessons in the Rockville area. has taught at the Sport and Health Clubs and Glen Echo Park. Thomas is adept at Group International Latin and American Style Ballroom classes. He is available for private Coaching in competitive International Latin, Hustle and Swing or Jive as well as Exhibition Dance performances. Todd trained with world and US finalists, including Albert Franz, Joe Jenkins, Nonci Tirado, Beverly Anne Reese, Katarzina Kozak, Ron Bennet, Slavik Kryklyvyy, and Daniel Calloway. Currently seeking a talented professional to compete with. He is the originator of DANCESPORT ENDURANCE� (DSE)*, an intensive class designed to increase torso strength and flexibility, rhythm, and endurance while practicing the basic actions of ballroom and latin dances. Group and Private lessons are also available in Tyson's/McLean, VA, at the McLean Sport and Health and in Alexandria, VA at Studio Lioudmila. Contact me for further information. Instruction for singles, couples, and groups, beginner to advanced levels. Jerry was a long time amateur dancer having competed from New York to Florida and has won several prestigious national amateur events including the Virginia State Open Hustle Championship. Jerry places strong emphasis on proper technique and solid basics in order for his students to become stand-out social or successful competition dancers. 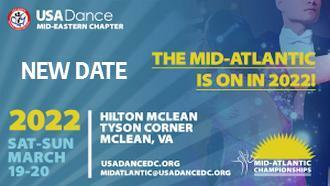 He teaches both private and group classes throughout the DC Metro Area. New York, Washington, DC, Virginia, and Baltimore. Ponti has been working in the Washington Metropolitan area for the past 15 years. Zuli Russi works in the Washington and has been partners with Ponti for the past four years as a dance partner and as a solo singer. Ms. Donahue is a British Professional Latin finalist; World's Professional Latin 3rd Place Finalist and North American 10 Dance Champion with World Class Adjudicator Ranking. Ms. Drury is an independent ballroom dance instructor in Richmond Va.
She teaches International-style and Latin American ballroom dancing. She teaches at The Dance Space and available for private lessons and group classes in the Richmond area. Chicago Style Stepping Classes, Workshops and/or "Steppers Set,"
taught by veteran "Chicago Style" Steppers! The Fellowship Auditorium 2201 "P" St.
Finalist World 10 Dance Championship London, England; Semi Final British Ballroom Championship (Blackpool) UK. 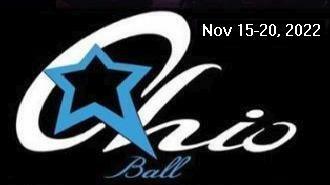 Training available in International Ballroom, International Latin, American Style Smooth & Rhythm. Specializing in Professional & Amateur Competition Training in all Styles and in Professional Examination Training. World Class Championship Ajudicator and Chair of Judges Fellow & Examiner NADTA; Executive Director NADOA. Lou Giacchino, F.I.S.T.D., Latin and Ballroom. A Dual Fellow of the Imperial Society of Teachers of Dance (ISTD). Lou completed his training and professional exams at the Alex Moore School in England. Lou's core strength is basic Ballroom and Latin technique. He is available for group lessons and private lessons at various venues in the Washington area. 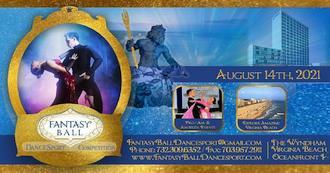 Available for coaching singles and couples in Int Style Ballroom from social to advanced competitive level. North-American Smooth Champion. ISTD and NADTA certified. Private lessons for singles and couples, or group instruction, all levels, in home studio. 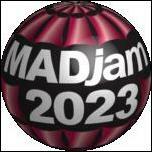 Free lessons for juniors (under 21). Carolina Shag instructor for Fairfax County Department of Parks and Recreation. Charter Member, Northern Virginia Shag Club; Competitive Shaggers Association (CSA); Virginia Shaggers Hall of Fame; National Living Legends of Dance. 9 Times Undefeated. 3rd in the British, 3rd in the World. Available for private coaching of couples. the Fredericksburg Shag Club teaching all levels of shag. 619-291-7722 (Studio) - (619) 297-8679 (Home). 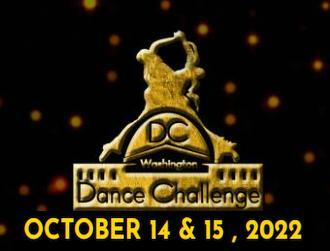 � Choreographs, adjudicates and dances throughout the U.S.A. Your dance teacher, dance partner and dance coach will get you ready for when the music starts playing. I am here to help you enjoy the journey of your lessons, competition prep and even your look. ** Do I really need a spray tan? ** Why do I forget my choreography when I see a judge looking at me? 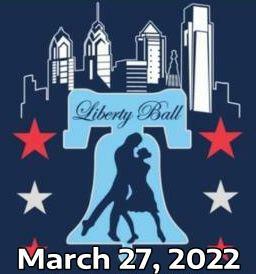 ** I'm brand new, how do I get into competitive ballroom dance? ** How do I find the right partner? The G. Kailor Dance program is for professional Dancers, Actors and Entertainers and students training in theater arts and entertainment careers. Lasca is available for coaching singles (men and/or women), couples, and classes in beginning to advanced International Ballroom as well as basic social. Lasca can help you achieve your goals whether it's learning to have fun, competition dancing, or pursuing your personal best in dancing. Rona has been performing mambo and salsa since 2001 and has performed at major national and international salsa events. Currently she performs with 2 dance companies. She has been teaching mambo, salsa, and ladies' styling since 2001. Lessons available (adults): private (singles, couples) or group. All levels (beginner, intermediate, advanced). Dance demonstrations and exhibitions available. Kenneth McKechie has 30 years experience in Ballroom Dancing. Lee and Peggy Santos have been teaching classes and private sessions for well over 25 years in American Style Ballroom, International Latin, International Ballroom, Salsa and Argentine Tango. 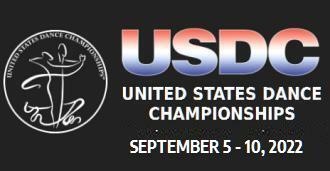 Qualified as World Class adjudicators, they were the 197779 U.S. American Style Champions; U.S. representatives to the 1981 World Latin Championships; Demonstrators at the 1987 Blackpool World Congress; U.S. International Latin Championship Medalist; Eastern U.S. Imperial Ballroom Champions and Virginia State Ballroom Champions. Lee is available in the Cleveland, OH; Charlottesville, VA; Jessup, MD and Charlotte, NC areas on a regular basis. Lee is available for Private and Group Instruction, Singles or Couples, in all Dance Styles at The Santos Dance Studio and various venue in VA and MD. Special events, workshops, etc by appointment. Contact them at: (540) 933-6778 or via eMail at: sds@shentel.net. Member of the N.A.D.T.A and the N.D.C.A. 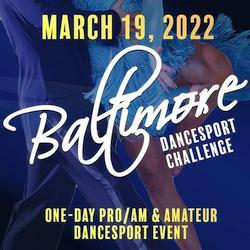 He holds the 1973-74 American Smooth Professional title with Barbara Brittle and the American Rhythm Professional Championship titles with Barbara Brittle (1973) and Dale Gonner (1974). Nick and his student Beverly Hill, won the U.S. Pro-Am American Rhythm Championship title for three consecutive years. They went on to win the U.S. Pro-Am American Smooth Championship title and the U.S. Pro-Am Theatrical Championship title. Qualified to coach and ajudicate at championship level in all four disciplines. Gold level dance director, specialist in the International Style. 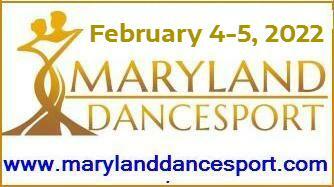 Group classes (open to the public) University of MD College Park and Univ of MD Baltimore County. Heidi Unkle was a Finalist with her husband Bill in most of the major competitions during their competitive career. She has been teaching classes and privates sessions with adults and teens for well over 20 years. Heidi has had 20 years of continuous training with the world's leading coaches in competitive international style Ballroom ballroom and social dancing. Contact Heidi Unkle directly to make arrangements for Pro-Am; amateur or professional singles and couples. Emerson, New Jersey, 07630 U.S.A.
more. 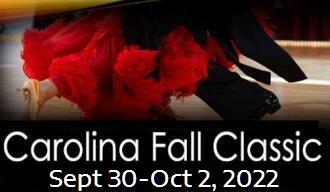 Ballroom, Latin, Theatre Arts American and International styles. Singles and couples at all amateur and professional levels. Peter Eggleton is one of the most respected and renowned coaches in the world of International-Style Ballroom Dancing, and he is a former British and World Modern Champion. Although long retired from competition, he remains a much sought-after coach and a popular show performer with his wife, Pamela. 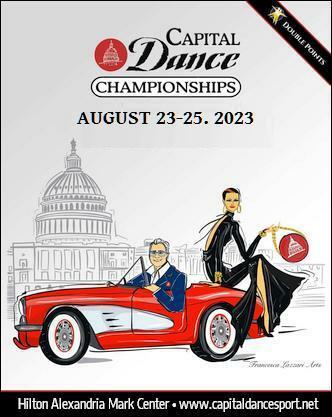 Available for Coaching from time to time at Chevy Chase Ballroom and Dancesport Center in Washington, D.C.
Stephen Hillier started dancing at the age of 7. With his partner and wife, Lindsey, he holds Juvenile (UK, 1963), Junior (International, 1967), and World Amateur, European, British, UK, and International Championship titles (1977-1979). As Professionals, they hold titles in World (3 years), European (3 years), British (3 years), UK (4 years), and International (5 years). Stephen and Lindsey concentrate on teaching competitive couples and developing their own Cabaret performances. 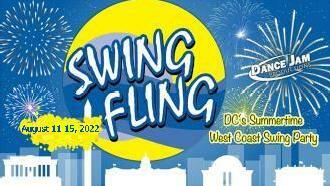 Available for Coaching and seminars from time to time at Chevy Chase Ballroom and Dancesport Center in Washington, D.C. World-renowned International-Style Latin stars, Tony Meredith and Melanie LaPatin are world-class competitors, choreographers and coaches. 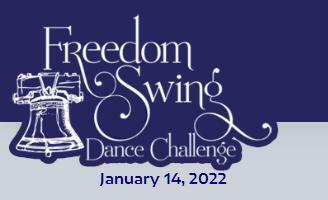 Some of their competitive successes include: American Open-to-the-World" Cabaret Dance Champions, North American Latin Champions, and Ohio Star Ball International Latin Champions. Tony and Melanie are 12-times United States Representatives to the Latin World Championships and have reached 7th place in the world and were two times Finalists in the World Latin Segue Championships. 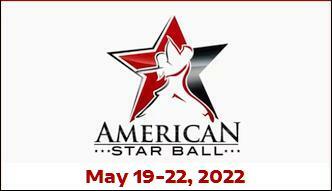 They have been to Chevy Chase Ballroom and Dancesport Center in Washington, D.C., for individual coaching and seminars. Bob has been ranked in the top 4 couples in the U.S. for the past 14 years with two other partners. With Julia he has captured the U.S. Professional Rhythm Championship for seven years in a row. Bob is a certified examiner in all styles of dance. Julia was trained in International Style Latin and Ballroom. She won numerous competitions as an amateur in Russia. Together they have won every major Rhythm Championship in the U.S and Canada. Sam Sodano is a former North American Latin Champion. He is chairman of the Arthur Murray International Dance Board, an adjudicator at many competitions; lecturer, and a very active and dedicated coach at his own dance studio in Columbus, Ohio. Daniel Trenner has been a professional dancer for 15 years. Between 1987 and the present he has spent several years in Argentina, where he learned the Tango from many of its living Masters. He also teaches Dance Technique, Experiential Anatomy, Bodywork, Contact and Ensemble Improvisation, Jazz, Tap, Ballroom, and Composition. Rebecca Shulman is classically trained in ballet and is also an International-Style Modern Ballroom Dancer. She began dancing Tango with Daniel in 1991 and has traveled several times to Buenos Aires, where she studied with master teachers and danced in the salons. Daniel and Rebecca travel extensively throughout North America, performing and teaching the Argentine Tango. Available for Lectures, Private Coaching, and Teacher Training for groups, Clubs or Organizations. Gateway|Subscribe|Today's eMail|Post Event|Advertise|Calendars|Comments|Site Map|Links .